Do you like cold beer? I don’t like beer at all, but warm beer doesn’t sound like it would be appealing to anyone! 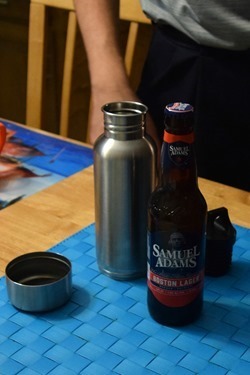 My husband loves beer, and he was excited to try out the BottleKeeper, an insulated, stainless steel container that keeps beer bottles cold and protected from breaking. 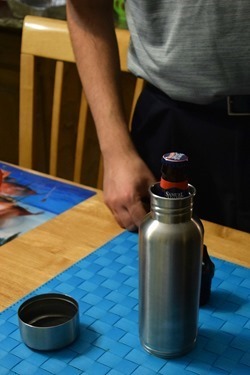 The BottleKeeper is available in multiple sizes – 12 oz Standard, 12 oz Stubby, and 22 oz Bomber. 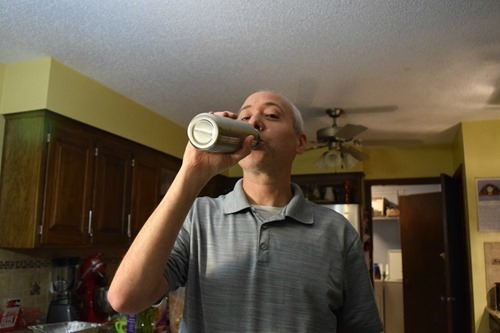 We tested the 12 oz standard, and soon realized that Dave’s favorite beer bottle was just a bit to wide to fit inside. 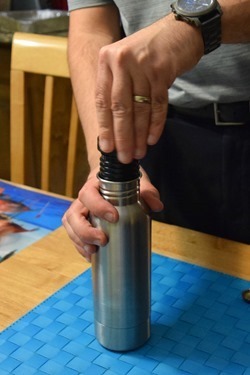 However, as the name suggests, a standard sized bottle fit just fine, nestled inside the neoprene lining, extra padding, and custom designed cap to seal the bottle. BottleKeeper even has a list of what beers fit in which size bottle – I guess Dave and I should have checked that before choosing a size! 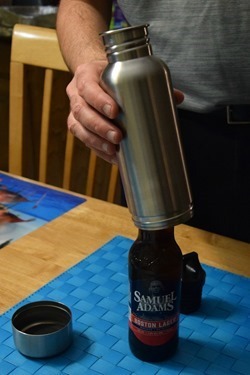 Dave’s first thought was that he could drink beer where beer isn’t necessarily allowed, but as you can see, the top of the bottle does peak out of the BottleKeeper! 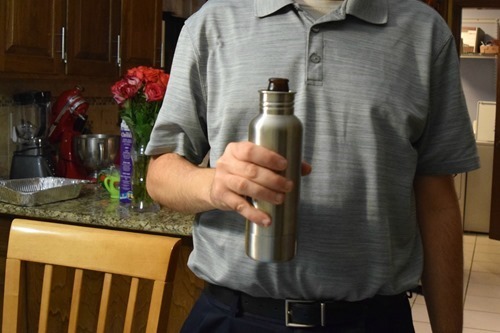 The BottleKeeper is great in situations where beer is legal, like at the beach or the pool, at sporting events, at the park, or at home. 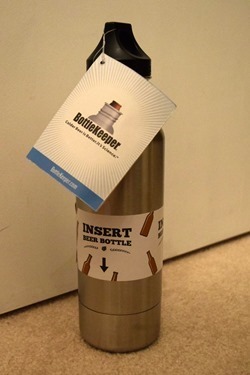 Started by cousins Matt and Adam, a BottleKeeper would make a great gift for any beer lover in your life. 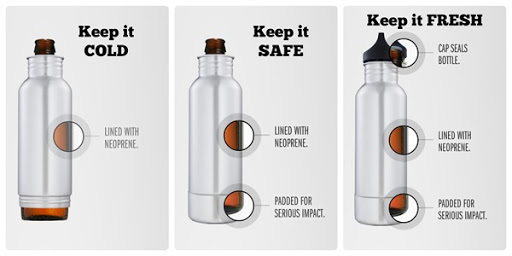 It even comes in a variety of colors, including pink, blue, red, and green! Interested in making a purchase? Use my link and receive 10% off your first order. Or, purchase via Amazon! 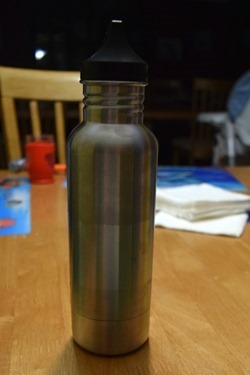 We received this product in exchange for our review. No other compensation was received and all opinions are ours.